As the global population keeps rising, the demand for food increases. To meet this ever-growing demand, scientists are searching for new, efficient and innovative ways to properly feed people around the world. Researchers are challenged to find immediate solutions, as well as the long-term reimagining of the global food supply. The scientists at JUST are creating a long-term solution by building a highly advanced food system on the basis of plants. Pioneer JUST is a San Francisco-based food technology company on a mission to make it easier for people to eat food that's delicious, healthier, and more sustainable. They aim to achieve this by exploring 300,000+ species of plants for their potential to improve the things that we eat. 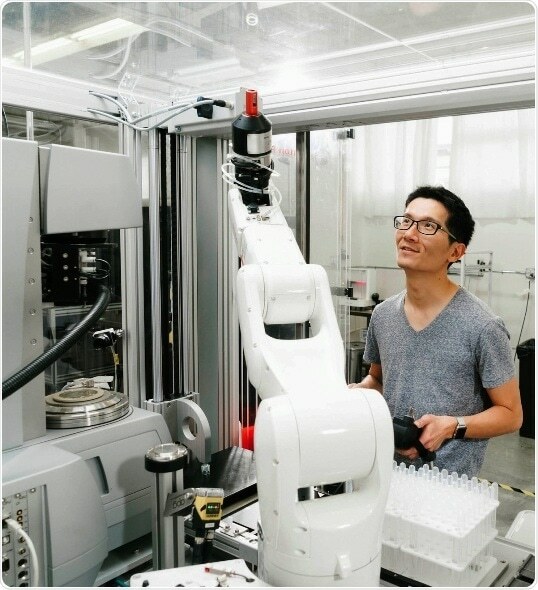 In order to discover the potential of these large numbers of species, JUST collects and processes plant samples with cutting-edge automated systems and robotic platforms. These collections and processes are facilitated by an exceptional sample storage workflow of plant specimens. Within our pipeline we are storing hundreds and soon thousands of unique samples so that we may discover more innovative plant proteins. The 2D Data-Matrix code on the bottom of the Micronic tubes enables JUST to integrate and manage protein samples in a laboratory information management system (LIMS). This allows JUST scientists to manage and track each individual protein candidate throughout the entire workflow. A large share of the workflow that JUST has created is standardized and automated. Each tube is capped with Low Profile Screw Caps to save freezer space and to allow the Discovery platform to automatically cap and decap tubes. This successful integration of Micronic labware enables JUST to perform consistent, accurate and fast analyses of their samples. Exploring the potential of the plant species has already led to inventive solutions to make food such as cookies, pasta, ice cream, and eggs better. Furthermore, JUST is working on bringing an alternative to traditional meat to the market before the end of 2018. The potential of plants to reinvent our food system seems limitless and might just be the answer to create a sustainable solution to feed future generations.